2014 OWA RETREAT Sept 12-14 – Save the Date! Many OWA members may not be aware that Architect Mignon O’Young was once an OWA Steering Committee member and still is a member. She created the GAB Report in the spring of 2009 as a way to share with others the green building projects with which she was involved while working at Citizens Housing Corporation in San Francisco. At the same time, it gave her the opportunity to reach out, connect and kindle an international community with other design professionals, manufacturers, and anyone who cared about green and sustainable design or wanted to learn more. I urge you to get to know the GAB Report. Mignon makes it a point to provide in-depth reporting, be timely, tell the backstory of the project, and make sure that the technical terminology of green features and strategies is easy to understand. Mignon writes most of the content for the GAB Report, and be assured that she promotes and credits the players involved with each project (fellow and sister architects, engineers, consultants, contractors, developers, photographers, etc.). She also encourages guest writers to contribute ideas and share words and photos of their own green projects: buildings, urban planning, landscaping, products, conferences. I can vouch that she responds to her email and is wonderful to work with. Consider contacting her at contact@gabreport.com and participate in this movement that needs all the nurturing it can get. 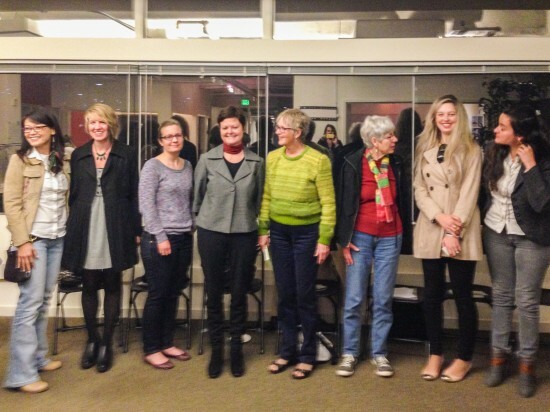 As announced in the Jan/Feb 2014 OWA newsletter, the OWA Book Circle held its second open forum on February 20th, discussing Women in Green: Voices of Sustainable Design. OWA member Susan Aitken hosted the event at her office in San Francisco, Hamilton + Aitken Architects. We were fortunate to have co-author Kira Gould in attendance to answer questions about the roles of women in sustainability over time and her experiences in writing the book. Questions developed from Book Circle Members were also posed to the group. Mignon O'Young, editor of The Green Architecture and Building Report invited us to share our Book Circle forum experience on her website. The article entitled "Women in Green: Still a Hot Topic" was published on March 20, 2014 and can be found here. Women in Green is an inspiring and thought-provoking read. It features interviews with key female players, including Hunter Lovins, Jeanne Gang, and Lynn Simon, in their journey toward an integrated sustainability. It addresses how women tend to problem solve through holistic community-based proposals, rather than through the "band-aid" of technology. In your experience, where and how is the dialogue about sustainability happening? With public or private clients, consultants, colleagues on design teams, internal to your own office, within professional associations, in the schools or in the media? Who is leading these discussions? Women in Green authors mention that "green" has been associated with women's stereotypical urge to nurture, think beyond short-term profit and take responsibility. When progress is being made in this area, does that mean that people are listening to us as women? If so, does this help with gender equality as well? In the last several decades, many organizations have evolved to push the sustainable agenda forward. Some mentioned in the book include Adaptive Environments, a nonprofit organization overseeing universal design and sustainability. Women's Network for a Sustainable Future, New York City is mainstreaming sustainability with legal requirements. Cal Poly San Luis Obispo has a sustainable environments program. There is a U.S. Department of State's point-of-contact for sustainability, and the University of British Columbia has a Campus Sustainability Office. San Francisco Department of the Environment is very active locally. Have you interfaced with any of these or similar groups? Do you feel optimistic about the influence of public policy and non-profits in this arena? Have you seen women involved? Some progress has been made in sustainability and there is less of a fine line between "green design" and "conventional design" because sustainable measures have moved into the building code language. LEED is still optional, so it doesn't seem to have as much power as mandatory building code measures. What is your experience with LEED vs Cal Green etc? How do clients respond to either? Are there further green ideas and/or accomplishments that you want to share with the OWA Newsletter readers? 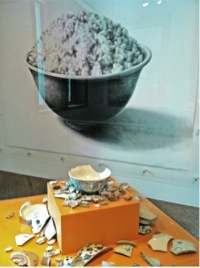 Rene Yung, artistic and founding director of Chinese Whispers and OWA member, is showing her site-specific art installation “Give Us This Day Our Daily Bread” at the San Jose Museum of Art through April 20. Chinese Whispers newsletter describes an exhibit that “meditates on the search for sustenance by the 19th century immigrants in San Jose’s former Market St. Chinatown, which was destroyed by arson fire in 1877—and part of which was located right beneath the site of the present San Jose Museum of Art. Rene thanks the Market Street Chinatown Archaeology Project and its partners for ongoing collaboration and support. 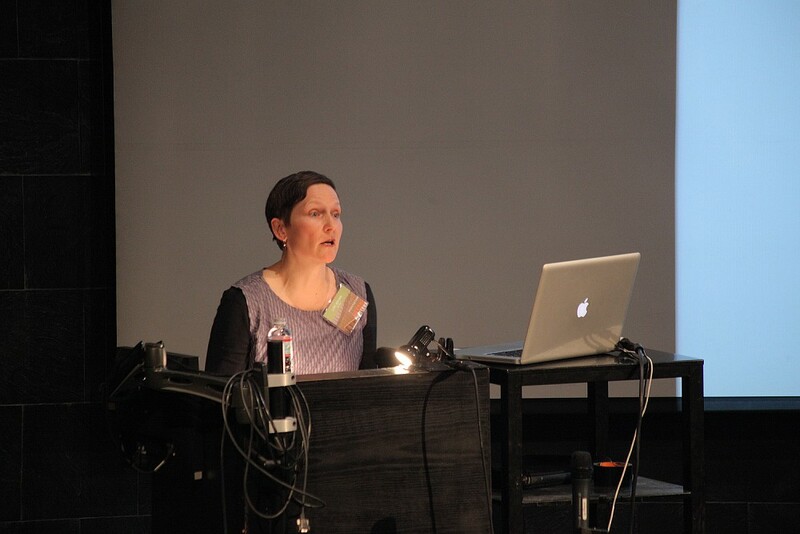 Sarah Moos, a new member to OWA and an Associate at Bionic, a landscape architecture and planning firm based in San Francisco, spoke on April 7 at ASLA@Berkeley's Professional Speaker Series. Sarah has been recognized for her critical analysis, design, and urban scale thinking in the Samsung Everland Landscape Design Awards and the International Architectural Thesis Awards, among other honors. 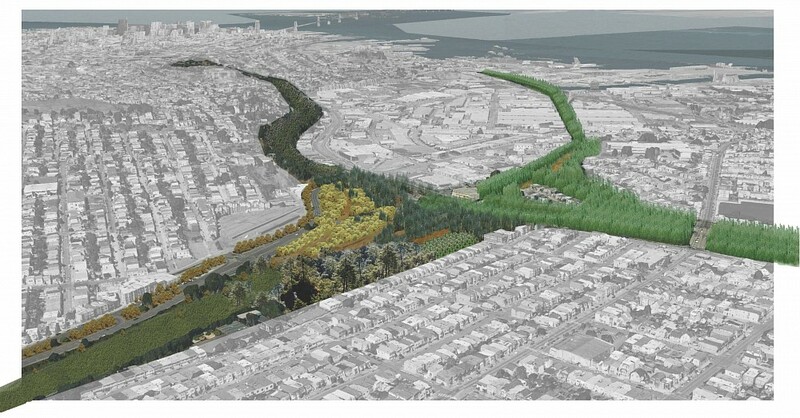 She holds two master’s degrees, in Landscape Architecture and Urban Design, from the University of California, Berkeley. Please join us for our May program on Tuesday May 20, 6pm-7:30pm when we will tour the San Francisco home and gardens of renowned Landscape Architect Thomas Church. The program will include a talk by the current owner of the property, historic preservationist Courtney Damkroger. 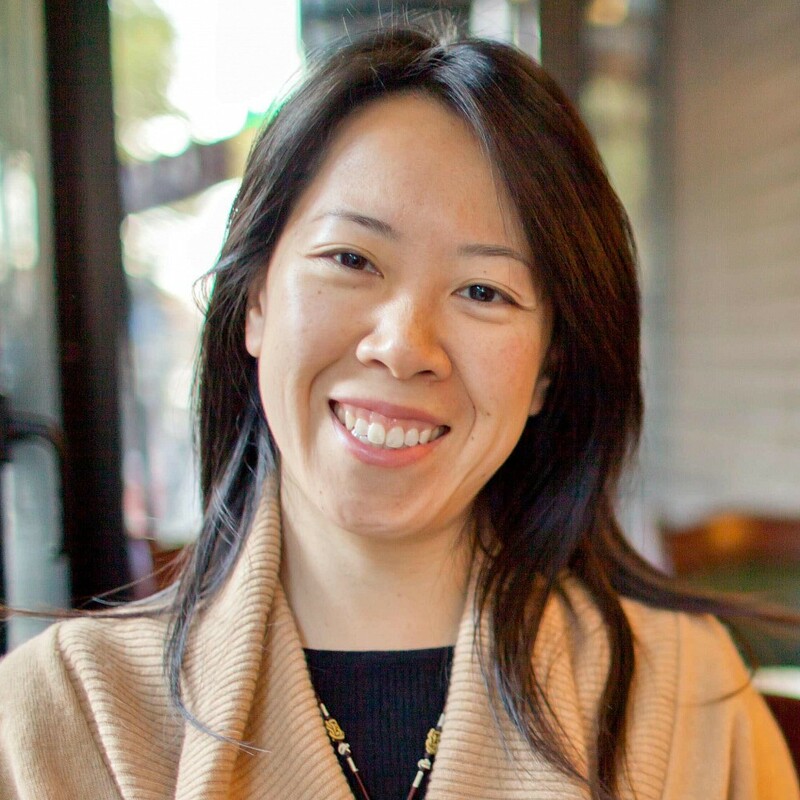 Alexandra JaYeun Lee will speak on Rethinking the Role of Architects in the 21st C from the Perspective of Social Resilience and Design Equity in a May event that OWA is sponsoring in partnership with AIASF Mentorship Committee. It will take place at the AIA San Francisco office Wednesday evening, from 6-8 on May 21 at 130 Sutter in SF. Check our website OWA Calendar. Alex, a Korean New Zealander who is in the US as a Research Scholar at the Institute of Urban and Regional Development at UC Berkeley, has spent the last decade applying her architectural knowledge to teach, practice, and advocate for democratic design. After meeting fellow members of the OWA at our last Book Circle, Alex is excited to share with us what she has learned about social resilience in the last 8 years. Alex’s presentation will be based on lessons learned from running the New Zealand chapter of Architecture for Humanity and her PhD topic Framing Disaster Research as 'Wicked' Design Problems. Alex writes that she currently is working on converting her PhD dissertation into a book that would "give voice to public interest designers and expand the role of architecture in the 21st century. “Disasters often amplify existing societal conditions and test the limits of our relationship with the urban environment. I will discuss the changing role of the architecture and design professionals in the 21st century in the context of recent urban disasters – the 2005 Hurricane Katrina, the 2010 Haiti earthquake, and the 2011 Christchurch earthquake. Having interviewed over 56 disaster experts in the field, from both within architecture and non-architectural disciplines, I will provoke a discussion on what it means to be a woman, an architect, and a leader. 1. What is the role of gender in social resilience? 2. How can we better educate/equip ourselves from "the big one" in the same way that we tackle the challenges of social, environmental, and ecological sustainability? 3. How can architectural design lead to more equitable society? In mid September, OWA will convene at Westerbeke Ranch for our annual retreat. Please save the date! As those of you who attend regularly can attest, the retreat is a wonderful opportunity to meet new people, expand your network, and catch up with longstanding friends. The program will be announced in the next newsletter, with its theme topic, art project, musical entertainment, movement sessions and Show and Tell. Once again the Westerbeke family will host us at their beautiful ranch where the food is excellent and the company is the best! 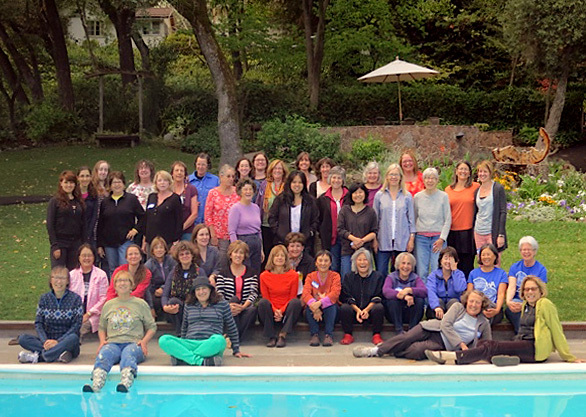 Janet Crane and the retreat committee: Kathleen Cruise, Joanne Chow-Winship, Rachel Sloniki, Karlene Gullone, Shari Canepa, Mui Ho, Judy Rowe, Debbie Klein, Heather Sprague. Twelve of us met for OWA’s March event at the California Hotel in West Oakland, which has been renovated and restored into an affordable housing development by the East Bay Asian Local Development Corporation (EBALDC). Elaine Kam, Project Manager for EBALDC and Chris Duncan of Gelfand Partners, the project architect, gave a very informative slide show presentation and tour. 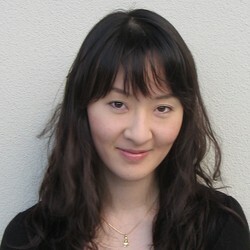 Charlayne Sakamoto, an OWA member present, was an intern for the project. Elaine's presentation discussed EBALDC's vision for building healthy vibrant neighborhoods and how they are achieving that vision at the California Hotel. Chris' presentation on Preservation & Sustainability addressed the design challenges on seismic upgrades, energy efficiency, and historic preservation challenges. 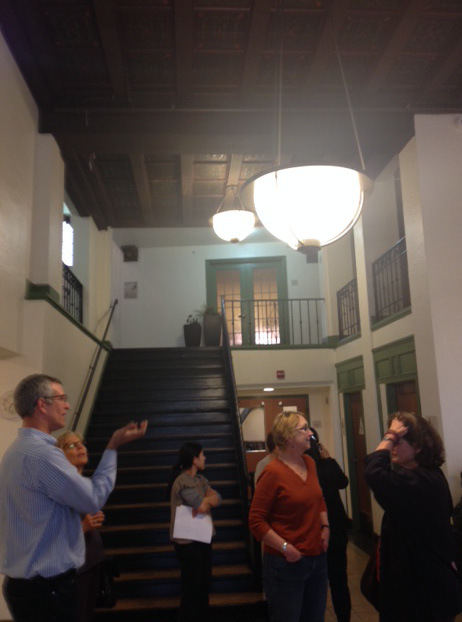 Our group toured the common areas including the mezzanine, program rooms, and hallways where Chris Duncan discussed the original historic details of the building and restoration processes. 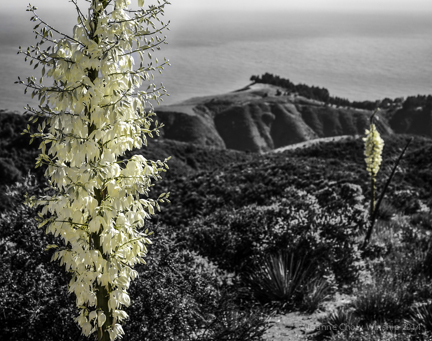 The Coastside Land Trust Art Gallery will be showing a photograph, Coastal Yucca, by Joanne Chow Winship at the Spring Landscapes and Wildflowers Show April 11 through May 30. The Opening and Artists' Reception will be on April 11 from 5 to 8 pm. Hours for the show, running through May, are Thursday and Friday 11-2 PM, and Sundays 10-2 PM. The Gallery is located at 788 Main Street, Half Moon Bay, California. OWA member Jiane Du writes that her firm, Kappe+Du Architects in San Rafael, recently completed the Soskol Gateway Transit Center in Napa, a multi-modal center overlooking the Napa River. The building meets the new Napa County Green Building Ordinance standards, consistent with LEED standards, and has a building form that draws on the historic industries and buildings in the area. The American Academy in Rome has announced that archaeologist and educator Kimberly Bowes, FAAR'06 will be their next Director, beginning 1 July 2014. 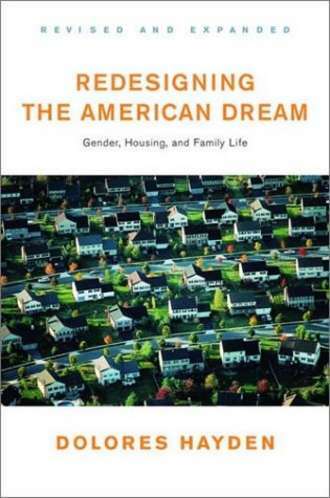 Redesigning the American Dream: Gender, Housing and Family Life (2002) by Dolores Hayden, professor of architecture and American studies at Yale University is the next book we plan to read and discuss. This book was awarded the National Endowment for the Arts Award for Excellence in Design Research, the Paul Davidoff Award for Outstanding Book in Urban Planning, and the Vesta Award for Feminist Scholarship in the Arts. In this book, Lori Brown examines the relationship between space, defined physically, legally and legislatively, and how these factors directly impact the spaces of abortion. (The bold is mine.) It analyzes how various political entities shape the physical landscapes of inclusion and exclusion to reproductive healthcare access, and questions what architecture's responsibilities are in respect to this spatial conflict. Employing writing, drawing and mapping methodologies, this interdisciplinary project explores restrictions and legislatures which directly influence abortion policy in the US, Mexico and Canada. It questions how these legal rulings produce spatial complexities and why architecture isn't more culturally and spatially engaged with these spaces. In Mexico, where abortion is fully legal only in Mexico City during the first trimester, women must travel vast distances and undergo extreme conditions in order to access the procedure. Conservative state governments continue to make abortion a severely punishable crime. In Canada, there are nowhere near the cultural and religious stigmas to abortion as in the US and Mexico. Completely legal and without restrictions, Canada offers an important contrast to the ongoing abortion issues within the US and Mexico. Researching the spatial implications of such a politicized space, this book expands beyond a study of abortion clinic and includes other spaces such as women's shelters and hospitals that require multiple levels of secured spaces in order to discuss the spatial ramifications of access and security within spaces that are highly personal, private, and sometimes secret or even hidden. In questioning what architecture's responsibility is in these spatial conflicts, the book looks at how what architecture 'does' can be used to reconsider the spaces and security around such contested places, and ultimately suggests what design's potential impact might be. In doing so, it shows how architecture's role might be redefined within social and spatial practices. Contents: Preface; Introduction; Social and spatial practices; Legal frameworks understood spatially; Case studies and spatial awareness; Landscapes of access: United States, Canada and Mexico; Conclusion; Bibliography; Index. If you would like to see this book in our OWADP Book Circle Library please let me know.